Greek Roasted Red Pepper Meze. 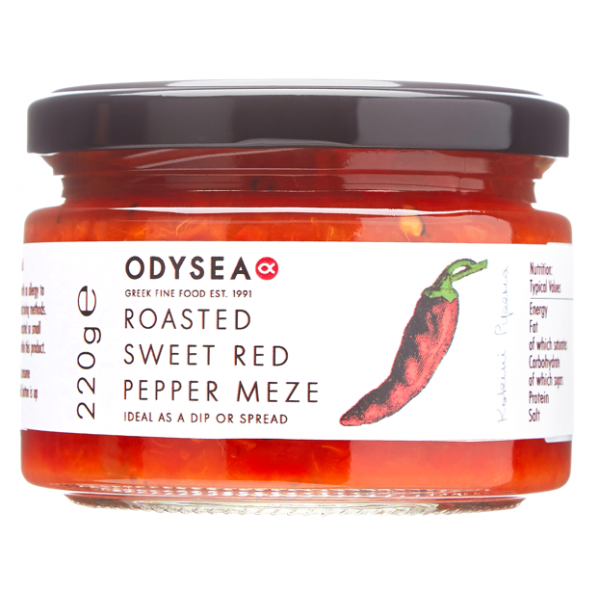 A delicious and very flavoursome Greek roasted red pepper meze, which is delicious enjoyed as an appetiser, dip or spread and on canapes. Red Peppers (94%), Red Wine Vinegar, Sea Salt, Grape Must, Acidity Regulator, Sugar, Corn Starch.